Here in New England, spring has finally sprung. Well, it feels more like summer and many of us are scratching our heads wondering if spring skipped right over us, but at least it’s not winter! Every season brings its own opportunities for learning and it’s part of our job as educators to remind students to take advantage of these chances. Spring is a great time for outdoor science projects. It’s warm but not hot, the bugs haven’t yet fully arrived, not wearing a coat is still a novelty, and there’s mud. Yay mud! While it might be tempting to make some mud pies and call it a day, there are plenty of chances to dig deeper and make connections between our own experience of the world and the science by which it operates. We might love mud pies because they’re cool and squishy and fun, but microbes love mud pies because that’s home. Worms love mud pies because that’s dinner. Why do insects love mud pies? Because that’s the maternity ward. Here are three activities to get kids thinking beyond mud pies. Measure air pollutants. For some people, spring is the time for allergies! There are a lot of things in the air, including pollen, dust, germs, and gases. Find this stuff yourself by brainstorming three to five places to test for air pollution. Some ideas include your bedroom, the refrigerator, or your mailbox. Label an index card for each area. Smear a layer of petroleum jelly in the middle of the index cards and tape each card to its location. Check your cards every two days for six days. Record your observations from each location. A chart is a great way to keep your information organized. What do you find on the index cards? Where does that stuff go when you breath in? 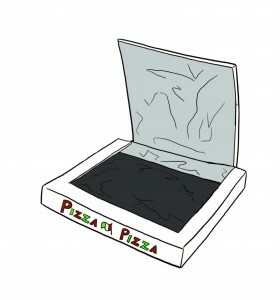 Build a solar pizza oven. Cut a large square out of the top of a pizza box or shoe box and wrap tin foil around the flap. Line the inside edges with rolled up newspaper and lay black paper on the bottom of the box. Stretch plastic wrap over the square opening in the top of the box and seal it with tape. Bring your solar oven outside on a sunny day and try melting a chocolate marshmallow s’more or warming up a piece of pizza! Why does the solar oven work? What happens to the sunlight when it goes through the plastic wrap? Build with mud bricks. It would take a long time to build a house with these bricks, but they’re perfect for Lego figurines! Mix a bunch of mud—not too wet!—and fill ice cube trays with it. Let the mud dry over night. Carefully flip your tray over to release your mud bricks and start building! In many parts of the world, people build their homes out of mud. Why makes this substance good for building? What makes it bad? What structures do you want to avoid building with mud? 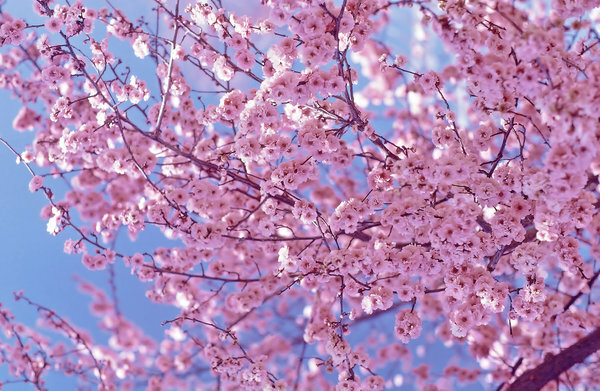 Looking for more spring science projects? Check out these sites for some ideas! Happy spring! ← It’s Teacher Appreciation Week!